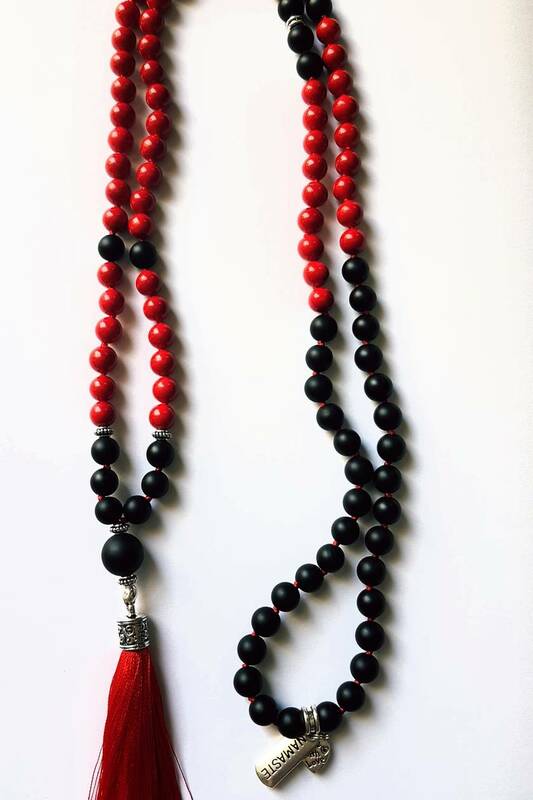 Matt obsidian and red coral 108 bead mala. Each bead is hand knotted protecting the beads if the strand should break. Hand knotted strands feel luxurious and soft and fall and drape beautifully. 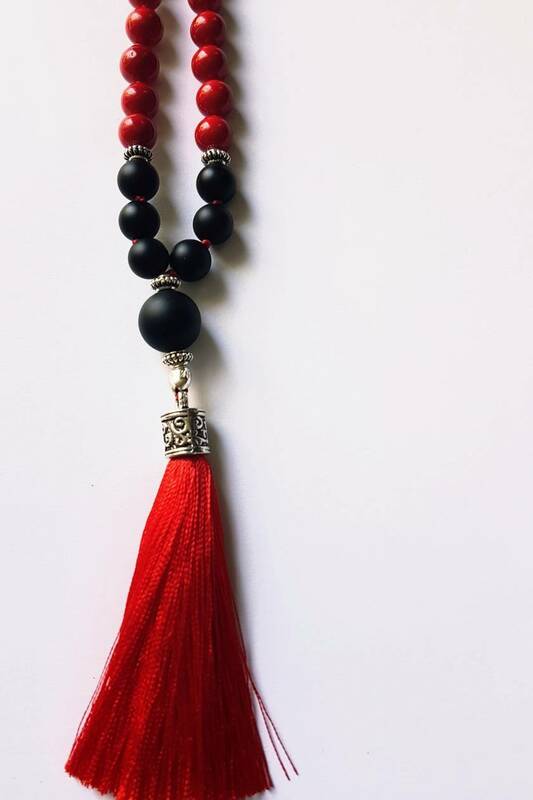 A Japa mala or mala (Sanskrit:माला; mālā, meaning garland) is a set of beads commonly used by Yogis, Hindus and Buddhists. Malas are used for keeping count while reciting, chanting, or mentally repeating a mantra or the name or names of a deity. This practice is known in Sanskrit as japa. 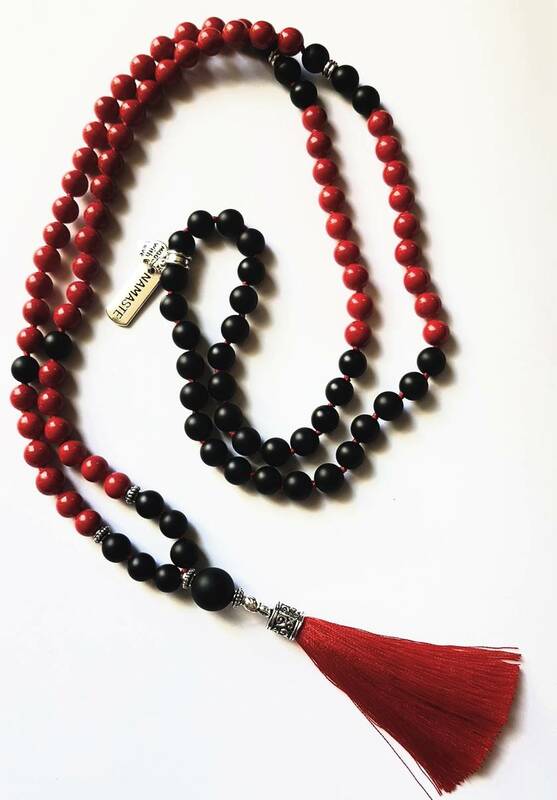 Malas are typically made with 18, 27, 54 or 108 beads. 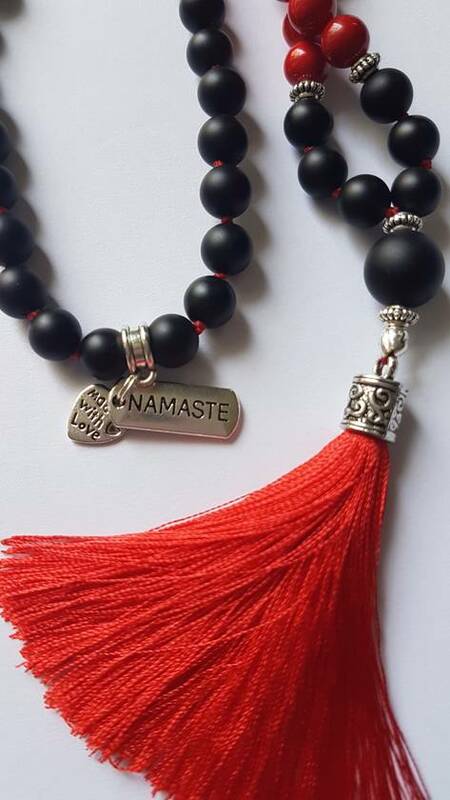 To protect the longevity of your mala remove before sleeping, while bathing or swimming. All my malas are made at in an environment of peace and harmony, each strand is lovingly created by me and infused with positive energies.